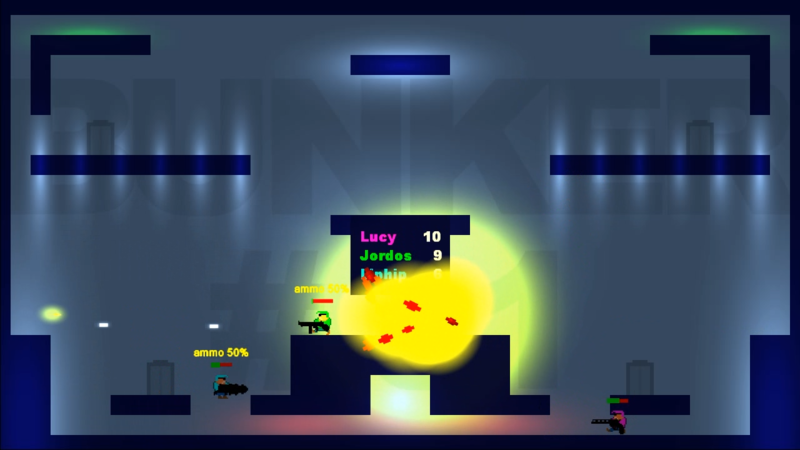 Kill2Kill is a local multi-player platform shooter. 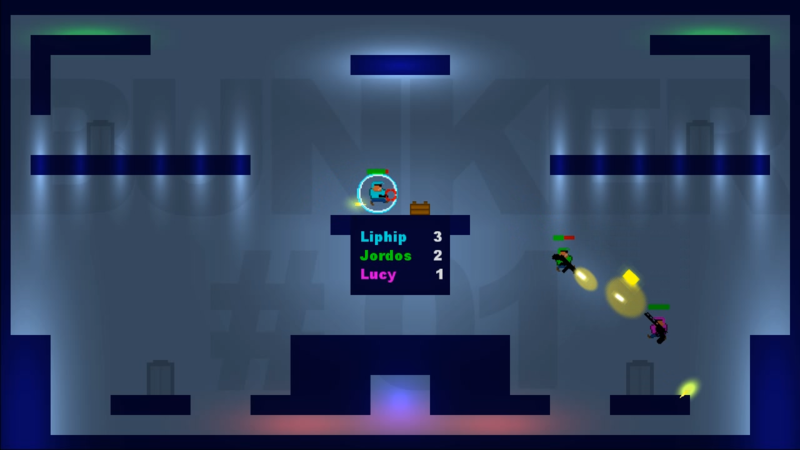 Players go down in battle bunkers deep underground to kill to kill. Lots of guns, blood and unnecessary violence. 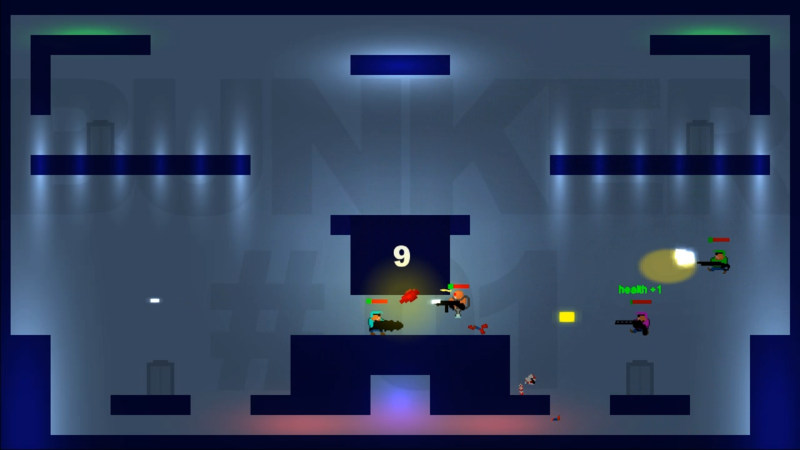 Kill2Kill was supposed to be released on XBLIG, but before the game was finished, XBLIG was discontinued. An alpha version for Windows was released, featuring single-player and multi-player modes (deathmatch and coop). 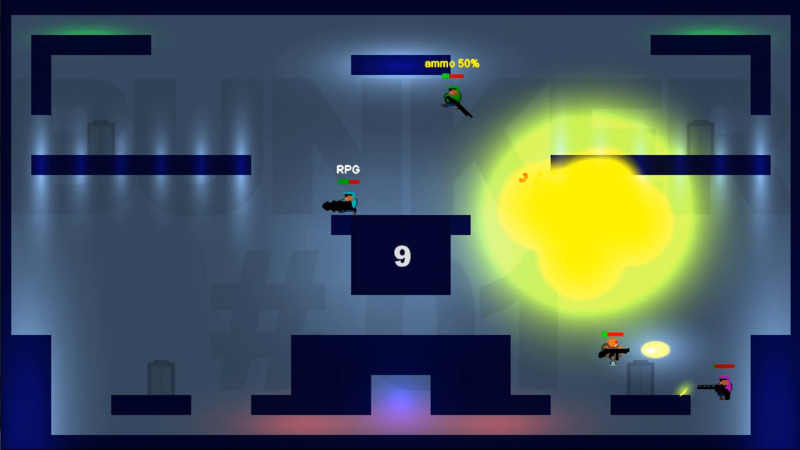 It also showed the 8-directional auto-aim mechanic, resulting in casual fast-paced gameplay. After that, the project was discontinued. In 2003 Jordin Kee made a game called Kill to Kill, which was welcomed by a modest but loving fan-base. Ever since he’s thinking about a remake.